Father Petras leads one of our adult education classes. 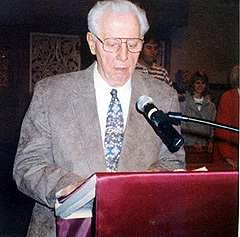 A variety of topics are covered each year. Father Dennis poses with our choir, which includes our cantors, Art Lazar, and Michael Dancisin. 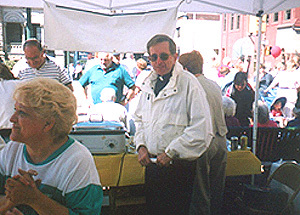 Members of the congregation line up for a donut social after a Sunday morning service. 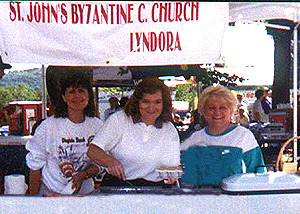 Selling food at the Ethnic Festival. 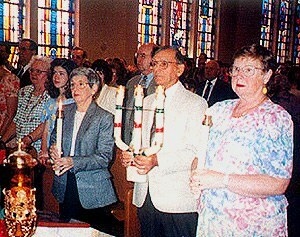 Holding candles during the Gospel reading.